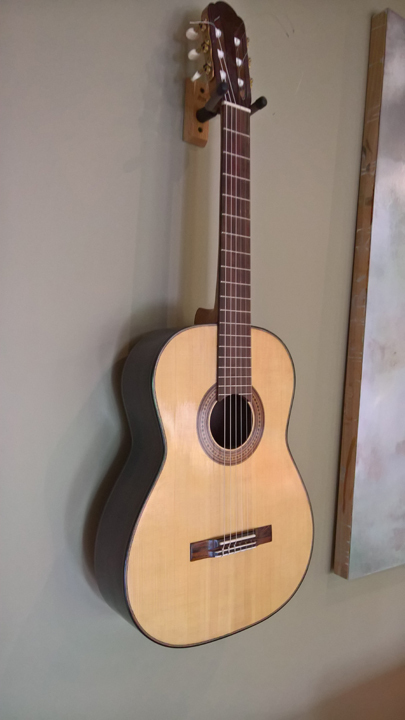 I just strung up a falcate classical guitar, viewtopic.php?f=1&t=7444. I have been tap testing the body at various stages and I though some might like to see the changes through process. The changes, closed to bound - to with bridge - to strung, are pretty typical of what I see on a falcate classical guitar. On my classical guitars, the addition of the bridge raises the T(1,1)2 6-9 Hz, it always drops on my falcate steel string guitars when I add the bridge. 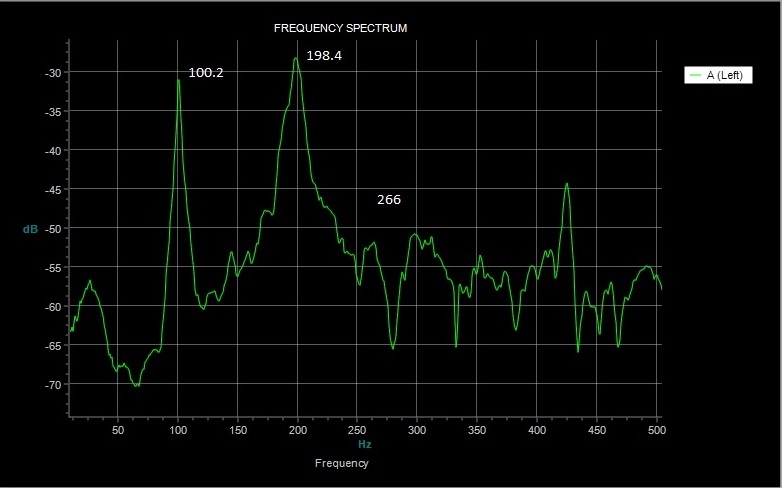 Also one can clearly see the coupling between the resonances through the process. 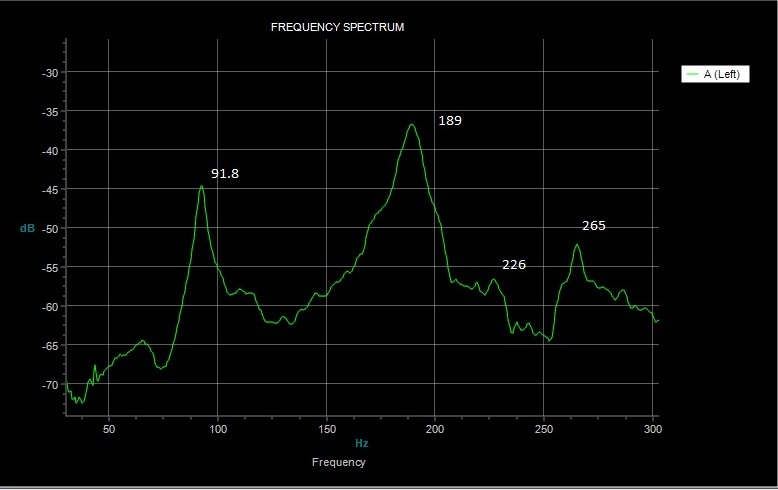 My T(1,1)2 target is 190 Hz, At this point I am at 194 Hz strung up. 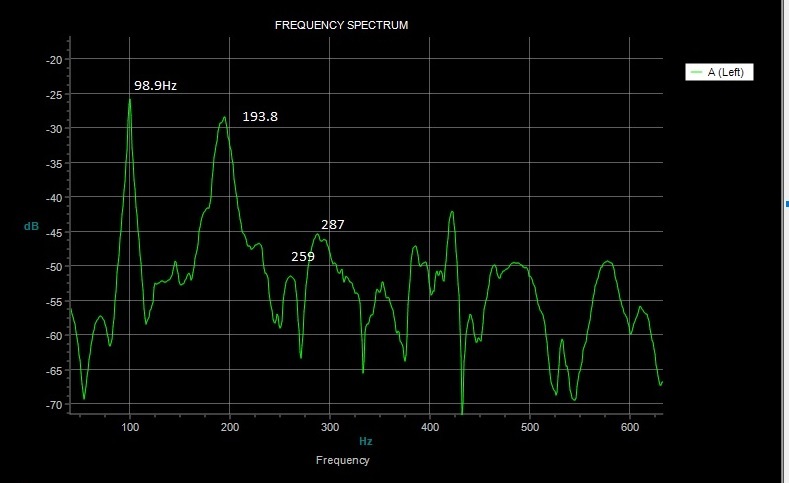 The back is high at 159 Hz, and it does not really have that big of a peak. I will start shaving the back braces, until I either hit 4 semi tones or the top hits 190 Hz. The first is the body closed before routing for the bindings. The Second is with the binding and the guitar has finish. Thanks for posting these, I am sure I will find them useful as I move forward through the next builds. 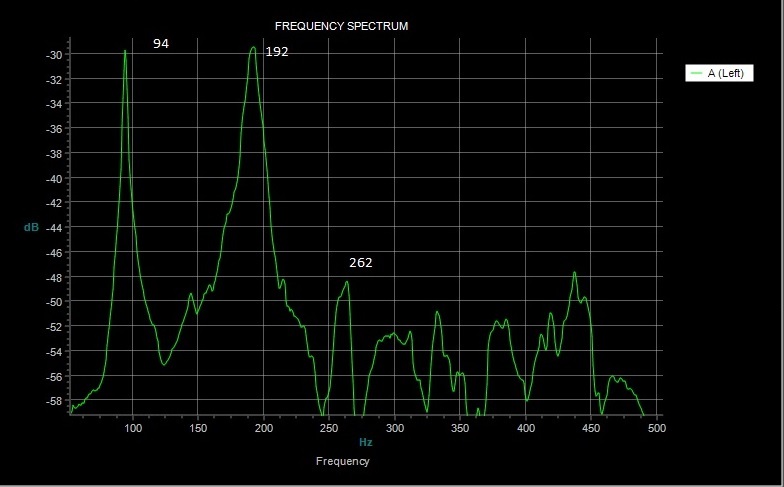 Interesting that the top resonance goes up when you add the bridge. I guess the increase in stiffness offsets the additional mass. Richard, you've hit the nail in the head. With a Gore style classical you wouldn't normally have a bridge patch...ie all the stiffness is in the bridge with it's two layers of CF. With a Gore style steel string there's a layer of CF plus the bridge plate under the bridge as well as a layer of CF in the bridge hence the effect of bridge mass is greater than stiffness.